There is no magic bullet for the region’s troubles, but smaller initiatives can produce incremental gains. A lot of conversations regarding Central and South Asia begin with the phrase “if only.” If only mistrust was not so widespread. If only real advancements in security could be achieved. These “if only” statements, of which there are many, reflect a perception based on Central and South Asia remaining unstable. While the likelihood of major region-wide achievements remains remote, observers should not ignore smaller scale progress that indicates greater change on the horizon. A set of unsynchronized efforts is underway that will assist interregional trade and better connect the region to the outside world. Viewed comprehensively, these seemingly isolated developments enhance political security and regional stability. Central and South Asia has its fair share of troubles. From political corruption, insurgencies, trafficking, and economic stumbles, among others, a host of factors has this region underperforming. Central and South Asia should be doing better. The region is home to a mostly young and entrepreneurial population and the region itself is deemed important by major outside actors for a host of economic and strategic reasons. However, political inefficiencies, conflict, and mistrust have led to the construction of barriers that inhibit regional integration. Regional institutions are weak and ineffective. Widespread suspicion among neighboring states encourages isolation to protect against further instability, but this strategy has been ineffective – isolation has degraded state capacity, led to economic malaise, and often encouraged domestic revolt. In an effort to combat this environment, various actors have proposed and pursued large-scale efforts to increase regional integration. The South Asian states formed the South Asian Association for Regional Cooperation (SAARC) in order to bring the member nations closer together economically, but thus far it has fallen short of its objectives. China developed the Shanghai Cooperation Organization (SCO) as a Central Asian-focused institution to increase regional trade, and although it has occasionally been able to serve as a geopolitical tool for member states, it has made little headway in its core mission of increased integration. 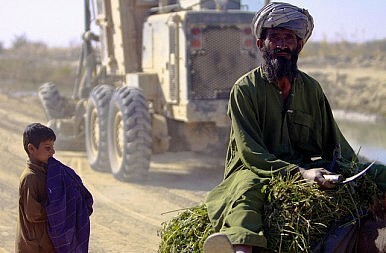 The United States proposed the ambitious New Silk Road Initiative to link Central and South Asia, both for the sake of its interests in Afghanistan and the region’s economic potential, but this plan has yet to get off the ground. To address regional integration within Central and South Asia, analysts should avoid the mantra of “big problems need big solutions” and look to how smaller-scale efforts can have a positive impact. In short, many need to change their perspective on what defines progress. Right now, a series of projects are being developed that overcome barriers that have previously confounded large-scale efforts. These projects mostly avoid multilateral frameworks and instead work on a bilateral or even a community-community model. As such, positive developments throughout Central and South Asia have an ad hoc flavor that push against the trend of multilateral and centralized trade and diplomatic agreements. Yet, in a region where trust is a rarity, progress on a more humble scale (bilateral, local, or even communal) may be the best way to improve the region’s performance. Though slight progress has been made in some cases, we have yet to see a large-scale program fully achieve its goal of enhanced integration and cooperation throughout the region. Project-specific concerns are certainly a factor, but perhaps these projects also struggle to gain momentum because they are overambitious in their reach and are trapped by their all-encompassing scope. Even slightly smaller programs like TAPI, which seeks to run pipelines through four countries from Central to South Asia, have met significant challenges to implementation and are inhibited by security concerns and regional tensions. It is a mistake to try to find a single, comprehensive cure to solve the region’s problems, and it is unreasonable to expect immediate results from any implemented programs – with such complex political dynamics and security environments, players in the region should not expect to find a simple and all-encompassing solution. There are already examples of small-scale projects that have been met with moderate success. While China’s New Silk Road project as a whole has faced difficulties with all of its moving pieces, China has made headway with bilateral projects in Central Asia, building economic ties and investing in individual nations; President Xi Jinping announced last year that $30 billion would be invested into Kazakhstan, and Turkmenistan recently began the process of increasing its natural gas exports to China. Pakistan and Afghanistan have renewed a transit trade agreement to develop a railway network between the two countries, and although progress has been slow-moving, the acrimony of much of the past ten years shows some signs of softening. Both India and China have been scrambling to acquire footholds at critical ports in the South, and while India won the contract to develop Chabahar port in Iran and has already mapped out plans for a network of transportation to Central Asia, China has been developing Gwadar in Pakistan. Added to these national examples, a host of stories tell of how communities are developing stronger and more sophisticated economic relationships with neighbors. The system of business across the region may be somewhat chaotic and uncoordinated, but the resources and economic potential are too great for opportunity to be completely sidelined by politics. Subsequently there are multiple independent projects being pushed from different angles, and although they may seem disorderly and unsynchronized, together they may result in positive political and economic change for the region. Despite the difficult setting, these interested players have managed to make some headway by focusing on smaller, more localized efforts. In light of this, the U.S. must temper its strategy by exploring small-scale network options and providing support to existing community projects. The instability and security concerns throughout Central and South Asia have made coordination difficult to achieve, but more localized actions can accumulate to positively change the politics of the region in the long term. No proposal, large or small, will work as a magic bullet to uniformly ease regional tensions or promote trade and economic growth. However, by creating and supporting smaller endeavors we may see an incremental improvement over time throughout Central and South Asia. Jeffrey Payne is Manager of Academic Affairs at the Near East South Asia Center for Strategic Studies in Washington, DC and Schuyler Moore is an Academic Intern at the Near East South Asia Center for Strategic Studies in Washington, D.C. and a rising senior at Harvard University. The views expressed in this article are the authors alone and do not represent the official policy or position of the National Defense University, the Department of Defense, or the U.S. government. How China and India Can Help Secure the Peace in AfghanistanNational Ambitions Meet Local Opposition Along the China-Pakistan Economic CorridorChina: A ‘Strategic’ Threat?Center of the World: This Week in Astana, KazakhstanWill India and Pakistan Cripple the SCO?